Great location at the US 220 / 58 Bypass just south of Martinsville, Virginia across from the historic Martinsville Speedway where two Spring Cup races are held each spring and fall. Location serves the Southern Henry County, Virginia and northern Rockingham County, North Carolina market area. 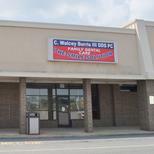 Shopping center has excellent visibility and sits at a traffic controlled intersection. AADT of 25,000 south of intersection and AADT of 18,000 vehicles north of intersection. Less than 3 miles from the newly opened $9 million Smith River Sports Complex and in close proximity to the future industrial park, Commonwealth Crossing. 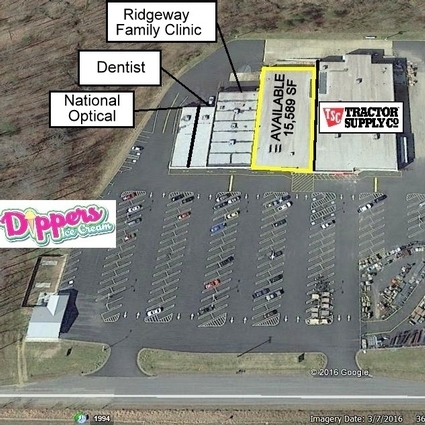 This site was identified recently as the best site for retail trade potential in Martinsville and Henry County based on a study prepared by Buxton. See the attached Retail Commercial Prospectus for more information. This 15,589 sf space is the residual space remaining when a former Winn-Dixie grocery store was split for the addition on Tractor Supply Company in 2014. It is currently a shell and can be built out accordingly. End cap space with room for expansion.